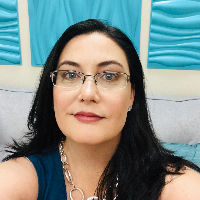 I’m an experienced Licensed Professional Counselor (Virginia) and Licensed Mental Health Counselor (Florida) who can help shape your perspective into a healthy and productive one. Whether it’s your career, your relationships, or anything else that’s important to you, I’ll help you develop the skills to effectively deal with the challenges and emotional moments you may encounter in life. I am dedicated to helping my clients make and maintain positive changes in their lives. I bring a positive, proactive approach to therapy, helping clients achieve greater self-esteem, build healthier relationships, and make the emotional, cognitive and behavioral changes they seek. I will help you create tools to make a safe and stable environment, within therapy and to use in your daily life. You’ll find the resources and tools to establish clear boundaries, explore new ways to cope with everyday challenges and emotions, and increase your strengths and abilities. Born and raised in Texas , I have been lucky enough to live and travel around the world due to my career. I have worked for the federal government for over 10 years and also have a private practice I work on a part-time basis. With my job for the federal government I primarily focus on working with military members and their families with trauma , depression and anxiety. In my private practice I focus on the treatment of depression, anxiety, adjustment issues family dynamic issues and relationship issues. Specializing in Depression, Anxiety , Trauma and Relationship issues. Certified Clinical Trauma Professional. Specialized experience working with military members, their families and DoD civilians while working for the federal government for 10 years in Washington DC and around the world. Specialized experience working with trauma survivors. Education: MS in Psychology from Southern Methodist University & MS in Marriage and Family Therapy from Capella University. Certified Life Coach and NLP Practioner through International Federation of Life Coaches. Certified Clincal Trauma Professional. Hours : Mon : 10-7 Tues 10-7 Wed 3-8 Thurs 3-8 Fri 10-12 , I am not available on the weekends. Neeley is very responsive. Even beyond our scheduled time to talk. She listens and understands and helps me make it through the impossible moment I’m in. She has a way of breaking down the impossible to help make it through what I feel I can’t. Literally breaking a day down into 30 minute slots. It is not easy to trust but she makes me want to try. She doesn’t rush me or push me and gives me space to try. She doesn’t judge me or see me differently for what I share. The space with her seems safe and I’m learning to trust it. I am so pleased to have Neeley as my counselor. She has drastically changed my perspective of life and the betterment of my life and those around me. I’ve had two sessions with Neely so far and as a counselor myself her level of expertise and directness is appreciated and needed. I don’t regret being asked to match with her one bit- she’s specialized in trauma, personable and challenges me in the ways I need it. Would you like to write a review for Neeley Hughey ? We'd appreciate if you can spend a couple of minutes to write a short review for Neeley Hughey (LPC, LMHC, CCTP). This review would be shared with Neeley Hughey . It may also be posted in our website or in Neeley Hughey 's profile but it would be anonymous and your identity would be kept completely confidential.